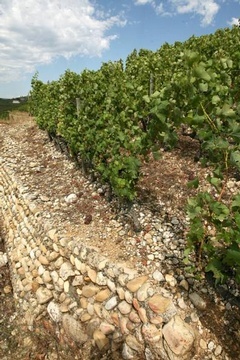 These pebbles, essentially ancient alluvial deposits from the Rhone, accumulate heat during the day and release it to the vines at night. This soil gives Hermitage wines their silky elegance and tames their power. This technique of combating insects has been introduced at the Cave de Tain's initiative. The disruptors emit a hormone that prevents the male and female moths from locating each other.